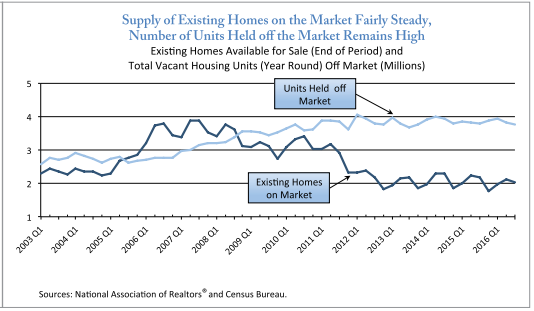 If you haven’t read this post on the US housing market outlook for 2017 to 2020, please give it a good read. If you’re a home buyer, rental property investor, or you’re wondering where the best job prospects are for 2017 and beyond, there are several in depth reports on this blog with links to various data sources. This is helpful information to both investors and homebuyers. And you’ll find more in this report of best cities for real estate investment. Too many of us have little insight into macroeconomic factors. We may have found such topics a bore in our youth, and the way reports are presented online, no one ever attempts to read or understand them again. 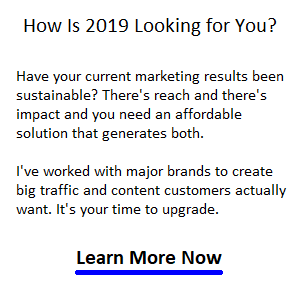 How about we simplify them so we can can understand the US housing market 2017. but these have immense influence over home prices, sales, mortgage rates, and whether anyone can afford to buy. One such macroeconomic factor is demographics. The fact that so many Millennials are reaching their home buying years now through to 2027 means there will be fundamental demand for homes and that puts huge upward pressure on home prices. Prices are already rising in what is the longest US economic expansion cycle ever. Sales of existing home were up 15.4% from a year ago. Purchases of new homes were up slightly in November (were down in October). Obama’s programs continue to help struggling homeowners. New housing Starts: Privately-owned housing starts in December were at a seasonally adjusted annual rate of 1,226,000. This is 11.3 percent (±10.4%) above the revised November rate of 1,102,000 and is 5.7 percent (±12.0%)* above the December 2015 rate of 1,160,000. Except for the increase in foreclosures, the report isn’t too bad — sales are up and prices are up yet there are signs that everyone is waiting to see what President Trump decides what to do. Were Obama’s policies more just to mitigate the situation his administration created? And will Trump’s drain the swamp clean up strategy leave the door wide open to economic growth in all states and cities burdened by the Democrat’s administration? We’ll need to keep an eye on how investment money flows and how long ailing regional markets might be regaining their strength in the years to come under Trumps new rules. 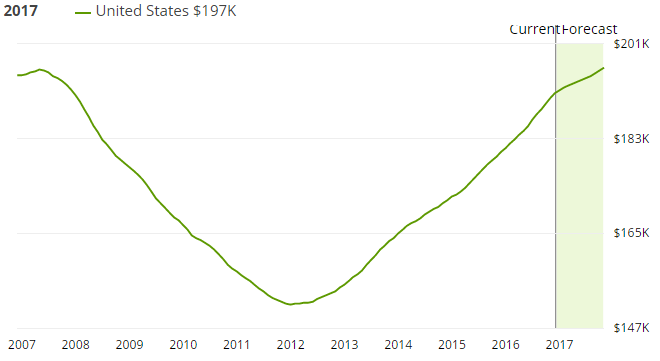 Home prices are rising faster than incomes, so this is likely to slow demand from buyers as affordability becomes an issue. Still from this we can see a strong demand for multi-unit residential dwellings and other rental properties. See which cities are best for rental income investment. A factor that’s plaguing many cities who have foreign real estate buyers — Houses held off the market. See this report on foreign ownership of land in Los Angeles. 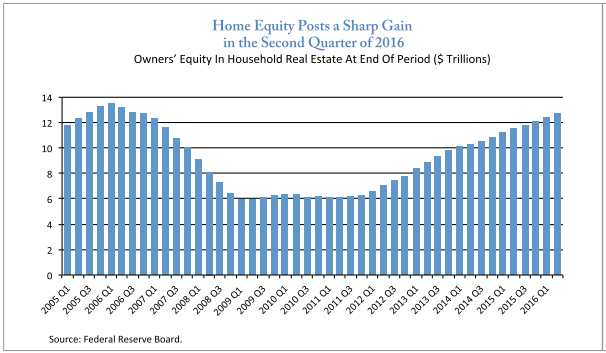 Home Equity is Up – Will this generate optimism, confidence, and more spending? Here’s 10 key macroeconomic factors to keep in mind before you invest in any particular city market across the US. demographics – how many immigrants and Millenials/Gen Xers are buying and how many babyboomers are selling? economic confidence – the mood of buyers and sellers? You can read even more explicitly about housing market factors in the Los Angeles Real Estate report. The stock market is another factor that can affect a home buyers decision and timing. Investment money can move from stocks to real estate thus putting upward pressure on home and condo values. Price Trends: Before you make the decision to buy a home or sell your home, get some deep insight into these big data trends. In only 4 years, the average home price has risen $45k and as Zillow suggests, it will climb into 2017. 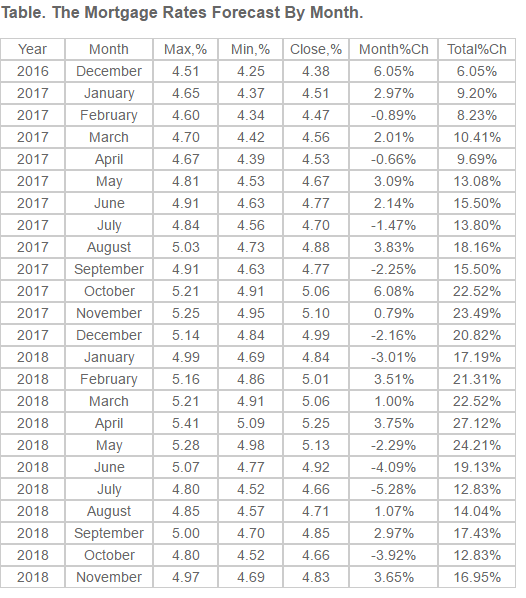 Where are interest rates and mortgage rates headed? 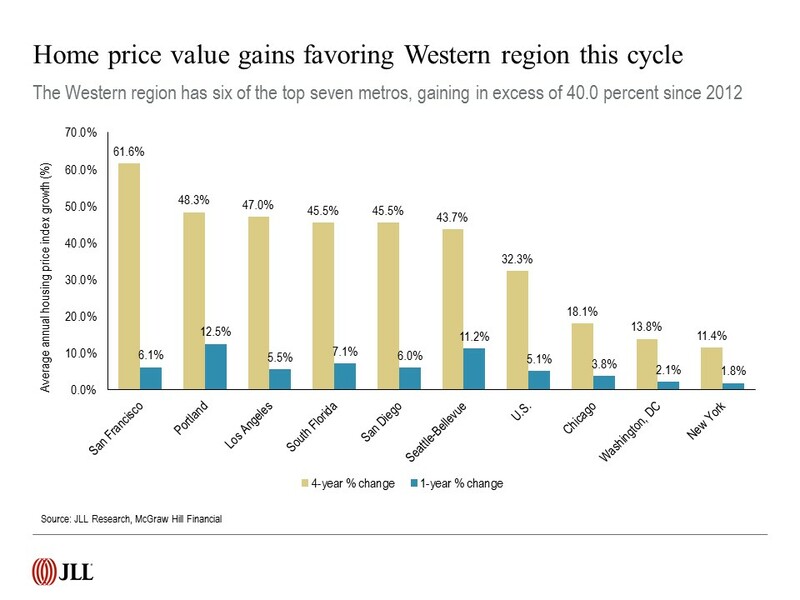 Read the best cities to invest report and you’ll see that cities such as Los Angeles, Miami, New York and San Francisco may not stay hot. Regional economic outlooks change. While Detroit and Warren Michigan looked really awful with the disappearance of their auto manufacturing business, they might now be the darlings of the real estate investment world. The San Francisco and Bay Area apartment rental market remains scorching hot, but will it remain so if the tech sector slides? Over the last month there’s been a lot of hype and scare mongering regarding President Trump’s forecasted policies. Certainly a number of factors could reduce demand for housing in the states of Florida, Texas, and California by removing millions of illegal aliens. The latest furor over mortgage rates surpassing 4% is not panning out as influential. Under Trump’s plan, the amount of tax-exempt income for single filers may soar from $6,300 to $15,000, and the exemption for married couples could rise to $30,000. If that happens, fewer people would need to file itemized deductions and take the mortgage interest deduction. Bookmark this page and return for further housing market forecasts, predictions, expert opinions and market data for most major US cities including Los Angeles, Phoenix, Denver, Seattle, Chicago, Boston, New York, Dallas, Houston, San Antonio, Austin, St Louis, Minneapolis, Green Bay, Charlotte, Tampa, Miami, Orlando, Toronto, Vancouver, Montreal, Ottawa, Oshawa, Hamilton, Newmarket/Aurora, Richmond Hill, Oakville, Calgary, Kelowna, Mississauga, Anaheim, Beverly Hills, Malibu, San Diego, San Francisco, San Jose, Fresno, Santa Clara, Sacramento, Mountainview, Palo Alto, Portland, Washington, Atlanta, Irvine, Nashville, Sunnyvale, Salt Lake City, Riverside, Rancho Cucamonga, Costa Mesa, Thousand Oaks, Simi Valley, Raleigh, Albuquerque, Glendale, Oceanside, Long Beach, Huntington Beach, Carlsbad, Santa Clarita, Henderson, Mesa, Temecula, Kirkland, Redmond, Kansas City, St Louis, Stockton, Scottsdale, Palm Springs, Indianapolis, Columbus, Colorado Springs, Fort Worth, Chula Vista, Escondido, Santa Monica, Miami Beach, and Honolulu.